This unique one-off looks at the Sami people who base their seasonal movements around the natural migrations of reindeer herds. This ancient connection goes back thousands of years. 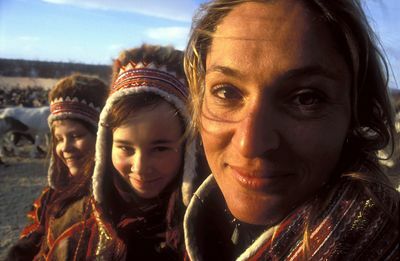 Wildlife conservationist Saba Douglas-Hamilton joins the Sami people for an adventure of a lifetime, as she takes part in the 'reindeer roundup'. 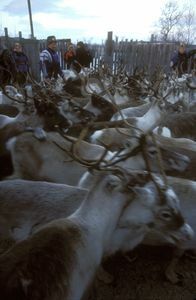 Not only is this one of the Arctic's greatest wildlife spectacles, but it is also the Sami's annual audit. As summer arrives the tribe must count the cost of the winter, and find out just how many reindeer have survived. Wolves, lynx, wolverine and the unimaginable cold will all have taken their toll. The reindeer represent all the Sami's wealth and if the herd is strong the Sami are strong, but if the herd is weak the Sami are in trouble. This experience will test Saba, as she attempts to survive in such extreme climates. Learning to live and think like a Sami is Saba's only hope. Surviving on a diet of reindeer, wearing reindeer clothes and living in reindeer tents, she must truly accept their way of life. Over seven gruelling days and nights Saba helps the tribe with their annual migration, but just how successful will the ‘roundup' be.